ZTE's sub-brand Nubia has a high-end model this year, that offers the bezel-less look on a 5.2-inch screen. The ZTE Nubia Z9, powered by the Snapdragon 810 chipset, features high-end specs. It took just 10 minutes for the phone to sell out in China. 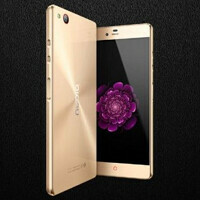 The phone is available globally through the Nubia mobileshop for $462.99. But that isn't the news. The story here is that ZTE has reportedly spent $2 million to buy the nubia.com domain name. Considering that the current websites connected to the brand are nubia.cn and nubia.com.cn, this would seem like a way to expand the brand to the U.S. and international markets. Selected ZTE Nubia models are already offered internationally. There is speculation that the next high-end Nubia model, the rumored ZTE Nubia 11, will launch simultaneously in the U.S. and China next year. The handset is said to feature a 5.2-inch screen with a 1440 x 2560 resolution. That works out to a 565ppi pixel density. The Snapdragon 820 SoC will be under the hood, with a quad-core CPU and the Adreno 530 GPU. There will be 4GB of RAM inside, along with 128GB of native storage. A fingerprint scanner is expected on board, and a 20.7MP camera should grace the back. A 13MP front-facing camera will likely be available for selfies and video chats. Like the Nubia Z9, the Nubia Z11 will sport a bezel-less display. If ZTE decides to offer such a phone to both U.S. and Chinese consumers at the same time, having the nubia.com site could make it easier for ZTE to promote the device in the U.S. and in other markets. In that case, spending all of that money for the domain name can probably be justified. A hefty amount of cash just for a domain name? Oh no! Just like the late 1990's when the dot com millionaires... well, made millions from domain names.